Preheat oven to 350 degrees. Butter a glass baking pan. 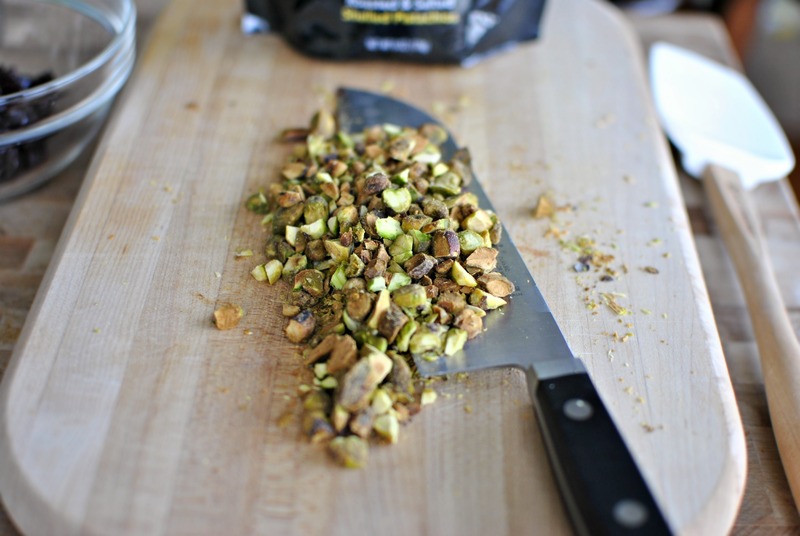 In a blender or by hand chop pistachios or walnuts until finely chopped. Combine nuts with 1/4 cup (half a stick) melted butter. 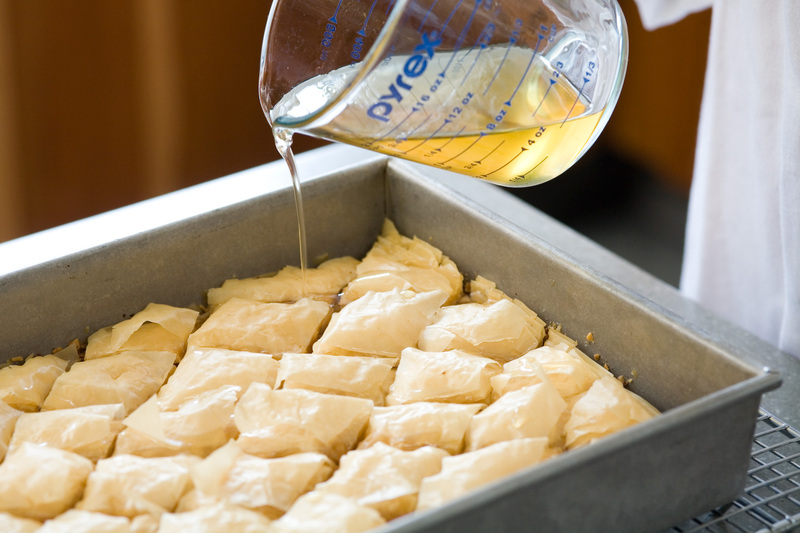 Place one sheets of phyllo dough on the bottom of the baking pan. Brush lightly with melted butter. Add a second layer of phyllo dough and again brush with butter. Continue until about one third of the phyllo dough is layered. Spread half the nut mixture on top of the phyllo dough. Cover with a buttered sheet of phyllo dough. Layer another third of the phyllo dough sheets, buttering each time. Add remaining nut mixture and layer with remaining sheets of phyllo dough, buttering each sheet. Using a knife, cut the baklava into 1 ½” diamonds. Bake for 50 minutes or until golden brown. About 30 minutes before Baklava is finished, combine sugar, honey, rose water, and lemon juice in a small saucepan. Bring to a boil, making sure that the sugar is completely dissolved. Reduce heat and allow the mixture to simmer for five minutes. When Baklava is finished cooking, drizzle warm syrup over top and let cool. Love you recipe! And you :). Lovely. A family favorite.